Growing up on a farm in central Mexico has prepared Pondview's Jake Bartch for the hard labours of vineyard management. From an outsider's point of view, it looks like farmers drive tractors all day - so it must easy right? To maintain award winning vineyards takes a lot of hard work, long hours and dedication to the job. A proud father and doting husband, Jake is a family man through and through, but takes his job very seriously. The best day at work, according to Jake, is a day spent entirely outside - particularly during the cooler weather. Icewine season is his favourite! Jake has worked under the watchful eye of Lou Puglisi, owner of Pondview Estates, for the past 5 years and has honed his skills in grape production. Attention to detail is the key to high quality grapes to produce award winning wines and Icewines. Harvest time can be manic. Harvest time can be quite manic when in full swing so switching jobs, vehicles and location are all in part of a busy day. Jake took a short video of a portion of his day in the vineyard during harvest. 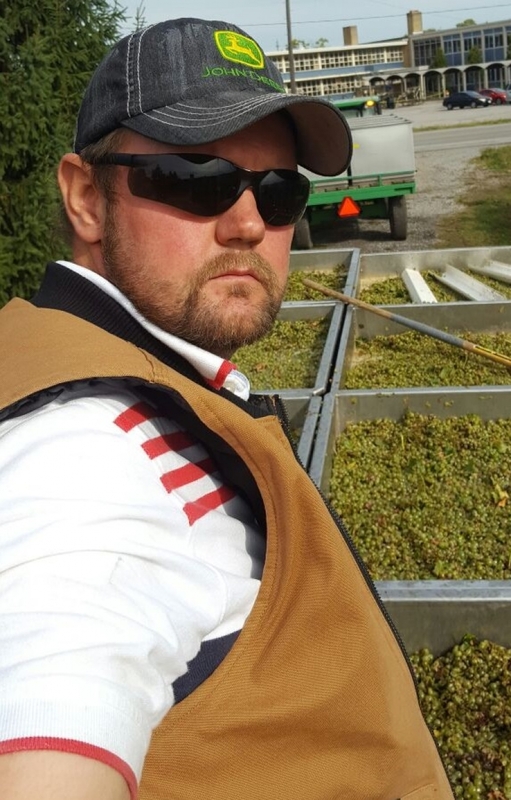 Spend a few minutes with Jake jumping from tractor to harvester to tractor while collecting sun ripened grapes to be processed to juice for wine making. 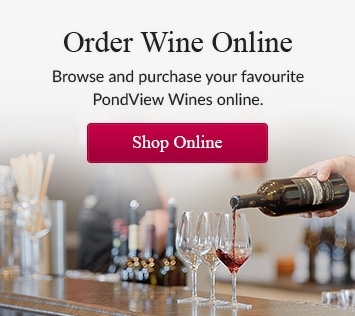 Not all of Pondview's grapes are harvest by machine. A few varietals, particularly the reds, are better hand harvested and yes, Jake does this too! A skilled vineyard worker can pick in an 8 - 10 hr day approximately 1/2 - 1 tonne of grapes. This process ensures only the best bunches are coming in for our premium wines. Though he makes it look effortless, it is a backbreaking job with a lot of heavy lifting. When you are next in Niagara, look into the vineyards to see those hard at work, stop into the boutiques, and enjoy the fruits of their efforts!